Champions of Agriculture Luncheon w/ Jan Westcott! 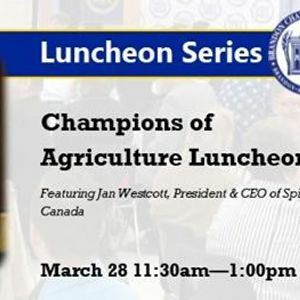 Join us for our Champions of Agriculture Luncheon, featuring Jan Westcott! Jan Westcott is the President and CEO of Spirits Canada, a national trade association representing licensed manufacturers and marketers of internationally recognized, premium quality spirits products. Mr. Westcott has gained extensive experience in marketing, strategic planning, communications, and public affairs over a distinguished career supporting Canada’s alcohol producers. 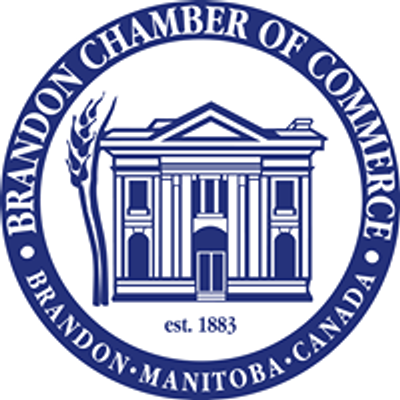 President and CEO of the Canadian Wine Institute from 1984 through 1988, Mr. Westcott went on to found the Brewers of Ontario in 1989, a provincial body representing both licensed brewers and their distribution channels. As the founding director of Smart Serve Ontario, Mr. Westcott balances his promotion of Canadian spirits with advocacy for responsible consumption, making him a leading voice in what has become a world-class industry. 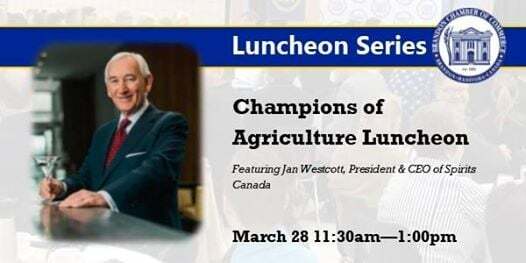 While Mr. Westcott’s resume includes tenures at Ontario Hydro, the Ontario Trillium Foundation, and Earth Day Canada, his focus remains on the Canadian farmers and distillers who play a key role in supporting job creation and agriculture.